While the “farm to table” movement has gained popular attention with its proactive focus on problems of industrial agriculture, it has largely failed to change the way we eat. In his book, The Third Plate: Field Notes on the Future of Food, chef and author Dan Barber discusses the next steps in creating a sustainable food system. In this episode, Dan talks about attempting to translate the agricultural landscape in the Spanish Dehesa to upstate New York. We also discuss the book, what a sustainable food future entails, and the role of chefs in that future. Listen to the entire interview with Dan Barber on kboo.fm. 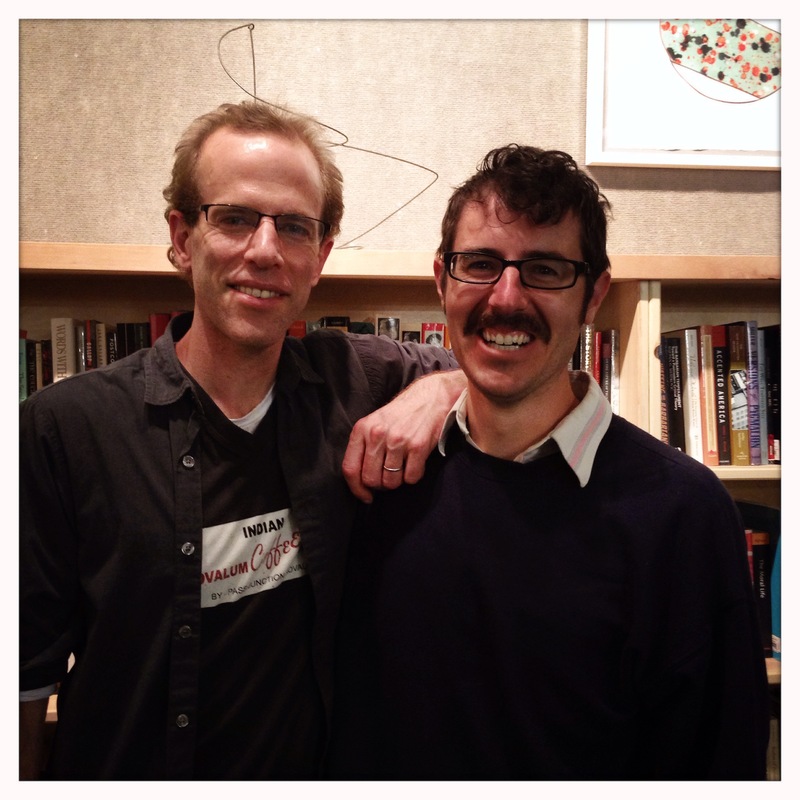 Chef Dan Barber and host Chris Seigel at KBOO Community Radio. The story and interview were recorded at KBOO Community Radio in Portland, OR. This episode is brought to you by Willamette Week, Shurky Jurky, and Portland Fruit Tree Project.